The surface energy balance is assessed for each elemental area, defined by the pixel size of remotely-sensed data, using a single-layer resistance model in consideration of the dense canopy cover that characterises the catchment (Hurtado, 1994). where AE is the latent heat flux density, a product of the heat of vaporisation X [J kg"1] and the rate of evaporation E [Kg s ! m'2]; Rn is the net radiant flux density; G is soil heat flux density and His sensible heat flux density. where a is the surface albedo, Rsi is the incoming short-wave solar radiation, Ru is the incoming long-wave radiation, £-is the surface emissivity, Ts is the surface temperature and is the Stefan-Boltzmann constant. Incoming fluxes were estimated from meteorological measurements acquired at the time of the satellite overpass. Meteorological data, collected at Bagni di Masino station, were spatially extrapolated to the whole catchment taking into account the DEM. Short-wave solar radiation considers both direct and diffuse radiation components; the direct component was estimated simulating actual illumination conditions, accounting for slope, aspect and cast shadows, at the time of two TM passages, and the diffuse component was estimated from the 6S code (Vermote, 1996). Values simulated with 6S were in good agreement with the general rule of thumb (Meijerink, 1994) that diffuse radiation amounts to 16 % of the total radiation. Incoming long-wave radiant flux density depends on air temperature and vapour pressure. Air temperature data were related to the elevation according to standard thermal gradient procedures, using two local values, namely 0.54 and 0.62 for March and May, respectively (Belloni and Pelfini, 1987). where z() is the height [km] at which air temperature and relative humidity are measured and (z0 + z) is the height at which the vapour pressure is to be calculated. Outgoing fluxes can be successfully estimated in a distributed way from optical and thermal RS data. Outgoing short-wave radiation depends on the nature of the reflecting surface and its geometric properties. For clear-sky conditions, broad-band albedo was estimated from radiometrically corrected reflective hands of TM data according Brest and Goward (1987) and Duguay and LeDrew (1992), for fully vegetated (av) and non-vegetated (as) surfaces. The outgoing long-wave radiant flux density depends on the hemispherical surface temperature, that was derived from the corrected TM thermal images as previously described. where is the air density, is the specific heat of air at constant pressure and is the aerodynamic resistance. Although from a theoretical point of view, the sensible heat transfer process refers to the aerodynamic surface temperature (Norman and Becker, 1995), in the case of dense vegetation cover, an acceptable modelling is still possible with the use of hemispherical surface temperature (Chehbouni et al., 1997), such that a single-layer model can be employed (Hurtado et al., 1994). Aerodynamic resistance (ra) is a rather complex function of different geometrical and meteorological parameters, such as roughness length, displacement height and wind speed. Roughness length and displacement height were derived from field measurements of plant heights applying the relationships proposed by Monteith (1973) and assumed invariant for each land cover class. A roughness length of 2.4 cm was calculated for the grass cover located close to the meteorological station, and 176 cm for the forest cover type. Wind speed recorded at the sensor height was related to the wind speed conditions above the forest canopy, assuming a logarithmic profile for wind velocity (Linsley et al., 1982). Because of the high relief energy, the air density and the specific heat of air were spatially extrapolated to the various elevations, using the relations proposed by Matveev (1965) and by Haltiner and Martin (1957), respectively. Although there are several relationships for determining the soil heat flux (G) by spectral vegetation indexes (Moran et al., 1989; Chehbouni et al., 1997) or by using Leaf Area Index (LAI) as proposed in Kustas and Humes (1996), G can be expressed as a linear function of net radiation R„ depending on vegetation fractional cover. 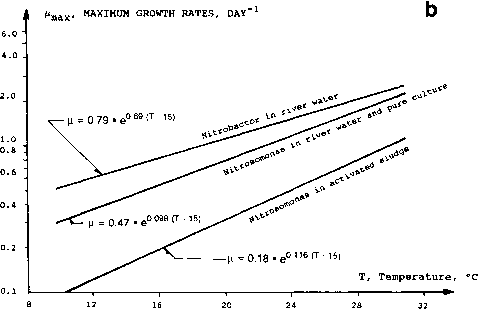 A linear relationship, ranging from 0.3 Rn for bare soil to 0.1 Rn for full vegetation cover (Clothier et al., 1986), was applied to the evaluation of G.
Latent heat flux density was finally modelled as the residual term of the energy balance equation. where the subscript i means instantaneous values. aETd=EFx(Rn-G)u where the subscript d means daily values. Daily Soil Heat Flux Density (Gd) was taken as « 0 in a first approximation and net radiation was daily extrapolated and spatially distributed using the relationship proposed by Schwab et. al., (1993). Spatially explicit latent heat of vaporisation, calculated by the mean daily air temperature map, was employed to express the aETcl map in mm/day.